FORMER Australian feature winner Shartin continues to impress in the US. Claiming the mantle as the northern hemisphere’s premier mare since her arrival, Shartin was successful in yesterday’s Allerage Farms Mare Pace at The Red Mile. 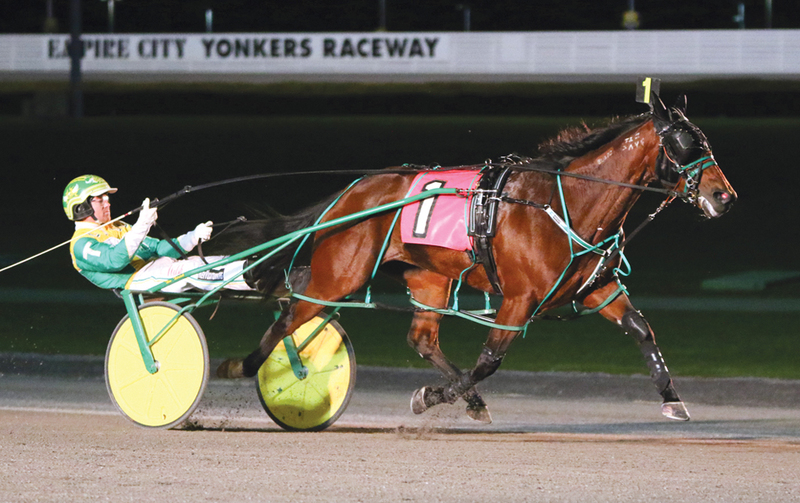 The feature was the five-year-old’s 16th win from 21 American starts, with her local earnings sitting at $623,978. Driven by Tim Tetrick, Shartin settled towards the tail of the field before beginning a first over charge at the half. Sent forward as Caviart Ally set quick sectionals, Shartin bullocked her way to a length win from Caviart Ally, with Pure Country third. “She’s got big lungs,” Tetrick said. “We got her off the gate good today but then going into the backside she kind of jammed up and I had to move her. The daughter of Tintin In America is prepared by Jim King junior for owners Richard Poillucci and Jo Ann Looney-King. Before crossing the equator Shartin captured the Tasmania and Queensland Oaks when prepared by Victoria horseman, Dean Braun.